Now that Kik is on the sidelines for Windows Phone, WhatsApp has become our default international messaging app on Windows Phone. Luckily for us the WhatsApp team is busy updating and adding new functions to the app, evidently back on their 30-day schedule. Version 2.9.2 is now live in the Store and it’s the one update you’ve been waiting for, as it really brings this app into its own. Overall, it’s an impressive update. 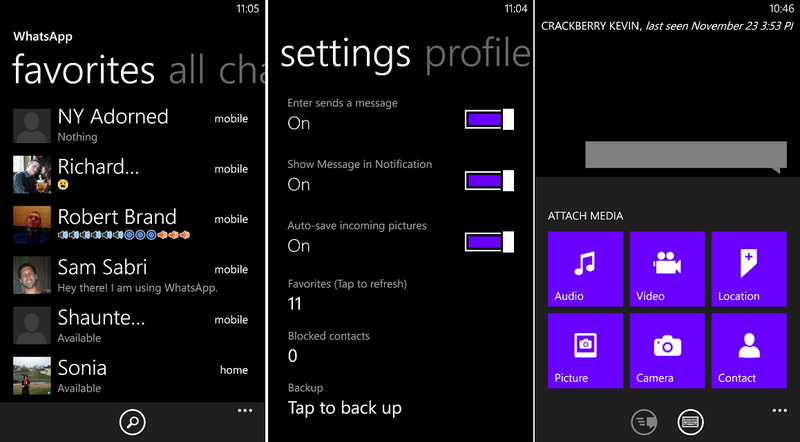 The lock screen notifications go a long way to improving the app’s usability on Windows Phone 8 and the message backup feature and new layout should also please long time users looking for a more robust experience. Notifications have been more consistent for us than on Kik and hopefully that will continue with this app update. Did we miss any new features? Let us know in comments. 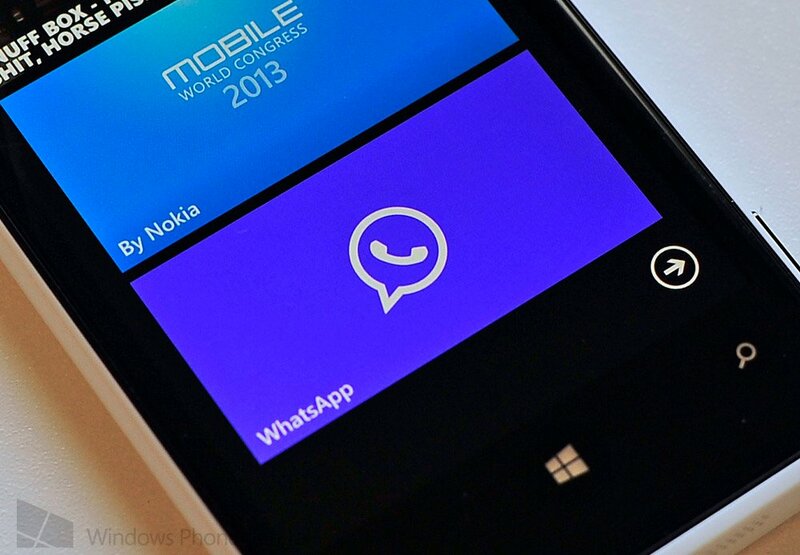 You can download WhatsApp for free here in the Store. All Windows Phones supported. Thanks, Dennis and others for the tip!